SilBlender by LOVENUE – silicone makeup tool. 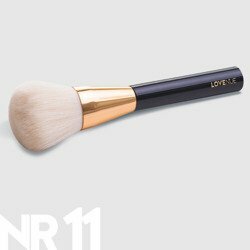 Offers a perfect distribution of foundation, highlighter or concealer, without absorbing and therefore wasting any product. Sponge made of 100% silicone, resistant to temperature changes and discolouring. Hipoallergic and scentless. SilBlender - the new generation tool! A sponge with a beneficial effect on a skin – unscented, hipoallergic and antibacterial. Thermoplastic protective layer guarantees maximum softness, flexibility and durability, making it water-, grease- and wear-resistant. The homogenous structure helps keep its elasticity - in spite of being rubbed and twisted it preserves its original shape. 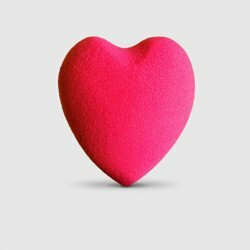 Silisponge – the sponge is 100% cruelty-free, made from the best quality silicone, guarantees a perfect distribution of a foundation even around the toughest areas - the chin, the sides of the nose and lip corners. 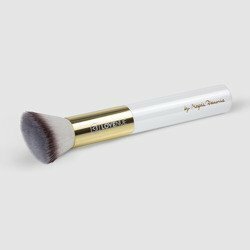 Applying makeup with the Silisponge makes the skin look radiant and simply impeccable.